McKinsey & Company is an American worldwide management consulting firm. It conducts qualitative and quantitative analysis to evaluate management decisions across public and private sectors. Widely considered the most prestigious management consultancy, McKinsey's clientele includes 80% of the world's largest corporations, and an extensive list of governments and non-profit organisations. More current and former Fortune 500 C.E.O.s are alumni of McKinsey than of any other company, a list including Google C.E.O. Sundar Pichai, Morgan Stanley C.E.O. James P. Gorman, and many more. McKinsey publishes the McKinsey Quarterly since 1964, funds the McKinsey Global Institute research organization, publishes reports on management topics, and has authored many influential books on management. Its practices of confidentiality, influence on business practices, and corporate culture have experienced a polarizing reception. McKinsey was founded in 1926 by James O. McKinsey in order to apply accounting principles to management. McKinsey died in 1937, and the firm was restructured several times, with the modern-day McKinsey & Company emerging in 1939. Marvin Bower is credited with establishing McKinsey's culture and practices in the 1930s based on the principles he experienced as a lawyer. The firm developed an "up or out" policy, where consultants who are not promoted are asked to leave. McKinsey was the first management consultancy to hire recent college graduates, rather than experienced managers. In the 1980s and 1990s, the firm expanded internationally and established new practice areas. It had 88 staff in 1951, 7,700 by the early 2000s and 27,000+ by 2018. McKinsey's consulting has helped to establish many of the norms in business and contributed to many of the major successes and failures in business in the modern era. McKinsey was merged with accounting firm Scovell, Wellington & Company that same year, creating the New York-based McKinsey, Wellington & Co. and splitting off the accounting practice into Chicago-based Wellington & Company. :5 A Wellington project that accounted for 55 percent of McKinsey, Wellington & Company's billings was about to expire and Kearney and Bower had disagreements about how to run the firm. Bower wanted to expand nationally and hire young business school graduates, whereas Kearney wanted to stay in Chicago and hire experienced accountants. :134 Additionally, in 1937 James O. McKinsey died after catching pneumonia. Fred Gluck served as McKinsey's managing director from 1988 to 1994. The firm's revenues doubled during his tenure. He organized McKinsey into 72 "islands of activity" that were organized under seven sectors and seven functional areas. :18 By 1997, McKinsey had grown eightfold over its size in 1977. In 1989 the firm tried to acquire talent in IT services through a $10 million purchase of the Information Consulting Group (ICG), but a culture clash caused 151 out of the 254 ICG staff members to leave by 1993. In 2003 Ian Davis, the head of the London, UK office, was elected to the position of managing director. Davis promised a return to the company's core values, after a period in which the firm had expanded rapidly, which some McKinsey consultants felt was a departure from the company's heritage. 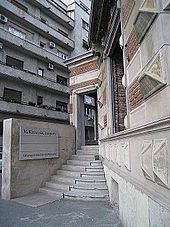 Also in 2003, the firm established a headquarters for the Asia-Pacific region in Shanghai, China. By 2004, more than 60 percent of McKinsey's revenues were generated outside the U.S. The company started a Social Sector Office (SSO) in 2008, which is divided into three practices: Global Public Health, Economic Development and Opportunity Creation (EDHOC) and Philanthropy. McKinsey does much of its pro-bono work through the SSO, whereas a Business Technology Office (BTO), founded in 1997, provides consulting on technology strategy. By 2009, the firm consisted of 400 directors (senior partners), up from 151 in 1993. Dominic Barton was elected as Managing Director, a role he was re-elected for in 2012 and 2015. In February 2018, Kevin Sneader was elected as Managing Director. He will serve a three-year term beginning on July 1, 2018. McKinsey has a de-centralized structure, whereby different offices operate similarly, but independently. Each office is expected to put the overall organization's best interest before the office's, which McKinsey refers to as the "one firm" principle. Consultants and engagements are often shared across offices. :11 Revenues from all offices are pooled and an individual office's revenue does not directly affect it financially. The company's budgeting is centralized, but individual consultants are given a large degree of autonomy. McKinsey consultants are either industry experts, functional experts, or generalists that cover specific geographic regions. The firm has 23 industry practices focused on individual industries, nine functional practices that work in areas like finance, marketing or risk, and five Capabilities and Solutions areas related to technology consulting. 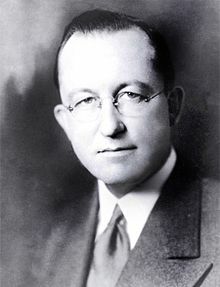 Marvin Bower is credited with creating McKinsey's values and principles in 1937. He established a set of rules: that consultants should put the interests of clients before McKinsey's revenues, not discuss client affairs, tell the truth even if it means challenging the client's opinion, and only perform work that is both necessary and that McKinsey can do well. 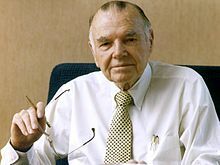 Bower created the firm's principle of only working with CEOs, which was later expanded to CEOs of subsidiaries and divisions. He also created McKinsey's principle of only working with clients the firm felt would follow its advice. Bower also established the firm's language. McKinsey calls itself "The Firm" and its employees "members". McKinsey says its consultants are not motivated by money. McKinsey & Company tries to keep a "very low profile public image". The firm has a policy against discussing specific client situations. The firm says it does not advertise, though it did advertise allegedly for recruitment purposes in TIME Magazine in 1966. Members are not supposed to "sell" their services. McKinsey's consultants are expected to become a part of the community and recruit clients from church, charitable foundations, board positions and other community involvements. A 1993 profile story in Fortune Magazine said McKinsey & Company was "the most well-known, most secretive, most high-priced, most prestigious, most consistently successful, most envied, most trusted, most disliked management consulting firm on earth". According to BusinessWeek the firm is "ridiculed, reviled, or revered depending on one's perspective". McKinsey's culture has often been compared to religion, because of the influence, loyalty and zeal of its members. Fortune Magazine said partners talk to each other with "a sense of personal affection and admiration". An article in The News Observer said McKinsey's internal culture was "collegiate and ruthlessly competitive" and has been described as arrogant. The Wall Street Journal said McKinsey is seen as "elite, loyal and secretive". According to Reuters, it has a "button-down culture" focused on "playing by the rules". According to BusinessWeek, some consultants say the firm has strayed from its original values as it increased in size. The Guardian said at McKinsey "hours are long, expectations high and failure not acceptable". Many of McKinsey's alumni become CEOs of major corporations or hold important government positions. In doing so, they influence the other organization with McKinsey's values and culture. McKinsey's alumni have been appointed as CEOs or high-level executives at Google, American Express, Boeing, IBM, Westinghouse Electric, Sears, AT&T, PepsiCo, and Enron. McKinsey alumni have held positions with Tony Blair's office. Citicorp and Merrill Lynch have also hired many McKinsey alumni. As of 2008, McKinsey alumni held CEO positions with 16 corporations that have more than $2 billion in revenue. The firm was ranked by USA Today as the most likely company to work for and become a future CEO of a major corporation, with odds of 1 out of 690. McKinsey's consulting work has also been influential in establishing many of the norms of how governments and corporations are run. The company has been influential in the British Department of Health for many years and was heavily involved in the discussions around the Health and Social Care Act 2012. McKinsey & Company provides strategy and management consulting services, such as providing advice on an acquisition, developing a plan to restructure a sales force, creating a new business strategy or providing advice on downsizing. Its consultants design and implement studies to evaluate management decisions using data and interviews to test hypotheses. Conclusions of the study are presented to senior management, typically in a PowerPoint presentation and a booklet. McKinsey & Company has traditionally charged approximately 25 percent more than competing firms with an average project of one million dollars. Prices were reduced in the economic slump following the dot-com bubble. According to The Globe and Mail, McKinsey clients estimate that the firm's advice turns out to be poor in retrospect about 10 to 20 percent of the time. A typical McKinsey engagement can last between two and twelve months and involves three to six McKinsey consultants. An engagement is usually managed by a generalist that covers the region the client's headquarters are located in and specialists that have either an industry or functional expertise. Unlike some competing consulting firms, McKinsey does not hold a policy against working for multiple competing companies (although individual consultants are barred from doing so). This has sometimes led to accusations of sharing confidential information or re-packaging a competitor's tactics as best practices. McKinsey & Company was the first management consultancy to hire recent graduates instead of experienced business managers, when it started doing so in 1953. Less than half of the firm's recruits are from business majors,:7 while others have advanced degrees in science, medicine, engineering or law. There is an ongoing debate within the firm on how fast it should grow. It said the work environment is demanding, involving extensive travel and long hours. In 2017 the firm received 750,000 applications and hired much fewer than 1% of them. McKinsey & Company consultants regularly publish books, research and articles about business and management. :51:55 The firm spends $50–$100 million a year on research. :54 McKinsey was one of the first organizations to fund management research, when it founded the Foundation for Management Research in 1955. The firm began publishing a business magazine,The McKinsey Quarterly, in 1964. It funds the McKinsey Global Institute, which studies global economic trends and was founded in 1990. Many consultants are contributors to the Harvard Business Review. McKinsey consultants published only two books from 1960-1980, then more than 50 from 1980 to 1996.:55 McKinsey's publications and research give the firm a "quasi-academic" image. A McKinsey book, In Search of Excellence, was published in 1982. It featured eight characteristics of successful businesses based on an analysis of 43 top performing companies. :87-89:348 It marked the beginning of McKinsey's shift from accounting to "softer" aspects of management, like skills and culture. :359 According to David Guest from King's College, In Search of Excellence became popular among business managers because it was easy to read, well-marketed and some of its core messages were valid. However, it was disliked by academics because of flaws in its methodology. Additionally, a 1984 analysis by BusinessWeek found that many of those companies identified as "excellent" in the book no longer met the criteria only two years later. A 1997 article and a book it published in 2001 on "The War for Talent" prompted academics and the business community to start focusing more on talent management. :163 The authors found that the best-performing companies were "obsessed" with acquiring and managing the best talent. They advocated that companies rank employees by their performance and promote "stars", while targeting under-performers for improvement or layoffs. After the book was published, Enron, a company which followed many of its principles, was involved in a scandal that led to its bankruptcy. In May 2001, a Stanford professor wrote a paper critical of the "War on Talent" arguing that it prioritized individuals at the expense of the larger organization. McKinsey consultants published Creative Destruction in 2001.:247 The book suggested that CEOs need to be willing to change or rebuild a company, rather than protect what they have created. It found that out of the first S&P 500 list from 1957, only 74 were still in business by 1998. The New York Times said it "makes a cogent argument that in times of rampant, uncertain change ... established companies are handcuffed by success." In 2009, McKinsey consultants published The Alchemy of Growth, which established three "horizons" for growth: core enhancements, new growth platforms and options. In February 2011, McKinsey surveyed 1,300 US private-sector employers on their expected response to the Affordable Care Act (ACA). 30 percent of respondents said they anticipated they would probably or definitely stop offering employer sponsored health coverage after the ACA went into effect in 2014. These results, published in June 2011 in the McKinsey e-Quarterly, became "a useful tool for critics of the ACA and a deep annoyance for defenders of the law" according to an article in TIME Magazine. Supporters of healthcare reform argued the survey far surpassed estimates by the Congressional Budget Office and insisted that McKinsey disclose the survey's methodology. Two weeks after publishing the survey results, McKinsey released the contents of the survey including the questionnaire and 206-pages of survey data. In its accompanying statement, McKinsey said it was intended to capture the attitude of employers at a certain point in time, not make a prediction. Since 1990, McKinsey has been publishing Valuation: Measuring and Managing the Value of Companies, a textbook on valuation. The book is now available in its sixth edition. McKinsey was a major player in the efficiency boom in the 1920s, the postwar gigantism of the 1940s, the rationalization of government and rise of marketing in the 1950s, the age of corporate influence in the 1960s, the restructuring of America and rise of strategy in the 1970s, the massive growth in information technology in the 1980s, the globalization of the 1990s, and the boom-bust-and-cleanup of the 2000s. McKinsey & Company's founder, James O. McKinsey, introduced the concept of budget planning as a management framework in his fifth book Budgetary Control in 1922.:25:422 The firm's first client was the treasurer of Armour & Company, who, along with other early McKinsey clients, had read Budgetary Control. In 1931 McKinsey created a methodology for analyzing a company called the General Survey Outline (GSO), which was established based on ideas introduced in the 1924 book Business Administration. It was also known as the Banker's Survey, because McKinsey's clients who used it in the 1930s were predominantly banks. :22 After the Wagner Act gave certain rights to employees to organize into unions in 1935, McKinsey started consulting corporations on employee relations. Later in the 1950s, the work of a McKinsey consultant on compensation was influential in "skyrocketing executive pay". It also helped many companies such as Heinz, IBM and Hoover expand into Europe. In the 1940s, McKinsey helped many corporations convert into wartime production for World War II. It also helped organize NASA into an organization that relies heavily on contractors in 1958.:105 McKinsey created a report in 1953 for Dwight Eisenhower that was used to guide government appointments. In 1973, McKinsey & Company led a project for a consortium of grocery chains represented by the U.S. Supermarket Ad Hoc Committee on a Uniform Grocery Product Code to create the barcode. According to the book "Business Research Methods", the barcode became commonplace after a study by McKinsey persuaded Krogers to adopt it. In the 1970s and 1980s, McKinsey helped European companies change their organizational structure to M-form (Multidivisional Form), which organizes the company into semi-autonomous divisions that function around a product, industry or customer, rather than a function or expertise. :208:110 In the 1980s, AT&T reduced investments in cell towers due to McKinsey's prediction that there would only be 900,000 cell phone subscribers by 2000. According to The Firm this was "laughably off the mark" from the 109 million cellular subscribers by 2000. At the time cell phones were bulky and expensive. The firm helped the Dutch government facilitate a turnaround for Hoogovens, the world's largest steel company as of 2013, through a $1 billion bankruptcy bailout. It also implemented a turnaround for the city of Glasgow, which had problems with unemployment and crime. McKinsey created the corporate structure for NationsBank, when it was still a small company known as North Carolina National Bank. McKinsey was hired by General Motors to do a large-scale re-organization to help it compete with Japanese auto-makers. The book The Firm said it was an "unmitigated disaster" because McKinsey focused on corporate structure, whereas GM needed to compete with Japanese automakers through manufacturing process improvement. A McKinsey consultant said GM did not follow their advice. A 2002 article in BusinessWeek said that a series of bankruptcies of McKinsey clients, such as Swissair, Kmart, and Global Crossing, in the 1990s raised questions as to whether McKinsey was responsible or had a lapse in judgement. McKinsey recommended that Swissair avoid high operating costs in its home country by developing partnerships with airlines based in other regions. In order to attract partners, Swissair acquired more than $1 billion in shares of other airlines, many of which were failing. This led to huge losses for Swissair. Prior to the Enron scandal, McKinsey helped it shift from an oil and gas production company into an electric commodities trader, which led to significant growth in profits and revenues. According to The Independent, there was "no suggestion that McKinsey was complicit in the subsequent scandal, [but] critics say the arrogance of Enron's leaders is emblematic of the McKinsey culture." The government did not investigate McKinsey, who said they did not provide advice on Enron's accounting, but some questioned whether McKinsey knew about Enron's accounting problems or ignored warning signs. Former Financial Times journalist Duff McDonald said McKinsey's confidentiality policy often prevents the public from becoming informed about the firm's work, except after it is exposed through lawsuits or investigations. 13,000 McKinsey documents were released as part of a lawsuit against Allstate, which showed that McKinsey recommended the company reduce payouts to insurance claimants by offering low settlements, delaying processing to wear out claimants through attrition, and fighting customers that protest in court. Allstate's profits doubled over ten years after adopting McKinsey's strategy, but it also led to lawsuits alleging they were cheating claimants out of legitimate insurance claims. Defenders of McKinsey claim that the firm merely advises, and is not a decision-maker. Nevertheless, since the end of the 20th century, McKinsey has been either directly involved in, or closely associated with, a number of notable scandals. Reuters describes these incidents as indicating "not bad apples, [but] a culture of corruption". Enron was the creation of Jeff Skilling, a McKinsey consultant of 21 years, who was jailed after the company collapsed. McKinsey reportedly "fully endorsed the dubious accounting methods that caused the company to implode in 2001." Enron reportedly used McKinsey on 20 different projects, and McKinsey consultants had "used Enron as their sandbox." McKinsey denied giving Enron advice on financing issues or having suspicions that Enron was using improper accounting methods. The most recent case of indirect involvement concerns Valeant, a Canadian pharmaceutical company investigated by the SEC. Valeant has been alleged of improper accounting, and that it used predatory price hikes to boost growth. The Financial Times states that 'Valeant's downfall is not exactly McKinsey's fault but its fingerprints are everywhere.' Three out of six senior executives were recent ex-McKinsey employees, as well as the chair of the 'talent and compensation' committee. McKinsey stopped working for U.S. Immigration and Customs Enforcement (ICE) after it was disclosed that the firm had done more than $20 million in consulting work for the agency. A managing partner said the contract, not widely known within the company until The New York Times reported it, had "rightly raised" concerns. In October 2018, in the wake of the assassination of Jamal Khashoggi, a Saudi dissident and journalist, The New York Times reported that McKinsey had identified the most prominent Saudi dissidents on Twitter and that the Saudi government subsequently repressed the dissidents and their families. One of the dissidents was arrested. Another dissident's family members were arrested, and the cell phone of the dissident was hacked. McKinsey issued a statement, saying "We are horrified by the possibility, however remote, that [the report] could have been misused. We have seen no evidence to suggest that it was misused, but we are urgently investigating how and with whom the document was shared." In December 2018, The New York Times reported that "the kingdom is a such a vital client for the firm — the source of nearly 600 projects from 2011 to 2016 alone — that McKinsey chose to participate in a major Saudi investment conference in October 2018 even after the killing and dismemberment of a Washington Post columnist by Saudi agents." On the 12th of February 2019, the European Parliament Greens/EFA group presented a motion for a resolution on the situation on women’s rights defenders in Saudi Arabia denouncing the involvement of foreign public relations companies in representing Saudi Arabia and handling its public image namely McKinsey & Company. McKinsey's business and policy support for authoritarian regimes came under scrutiny in December 2018, in the wake of a lavish company retreat in China held adjacent to Chinese government internment camps where thousands of Uyghurs were being detained without cause. In the preceding few years, McKinsey's clients included Saudi Arabia's absolute monarchy, Turkey's autocratic leader Recep Tayyip Erdogan, ousted former President of Ukraine Viktor Yanukovych, and several Chinese and Russian companies under sanctions. In February 2019, the New York Times ran a series of articles about McKinsey and the in-house hedge fund it operates - McKinsey Investment Office, or MIO Partners. The articles claimed that there was "potential for undisclosed conflicts of interest between the fund’s investments and the advice the firm sells to clients", since the hedge fund could benefit from the inside knowledge obtained through management consulting services. The company responded that "MIO and McKinsey employ separate staffs. MIO staff have no nonpublic knowledge of McKinsey clients. For the vast majority of assets under management, decisions about specific investments are made by third-party managers". Former McKinsey senior executives, Rajat Gupta and Anil Kumar, were among those convicted in a government investigation into insider trading for sharing inside information with Galleon Group hedge fund owner Raj Rajaratnam. Though McKinsey was not accused of any wrongdoing, the convictions were embarrassing for the firm, since it prides itself for integrity and client confidentiality. Following the initial allegations McKinsey no longer maintains a relationship with either senior partner, though the manner in which it severed ties attracted controversy. Senior partner Anil Kumar, described as Gupta's protégé, left the firm after the allegations in 2009 and pleaded guilty in January 2010. While he and other partners had been pitching McKinsey's consulting services to the Galleon Group, Kumar and Rajaratnam reached a private consulting agreement, violating McKinsey's policies on confidentiality. Gupta was convicted in June 2012 of four counts of conspiracy and securities fraud, and acquitted on two counts. In October 2011, he was arrested by the FBI on criminal charges of sharing insider information from these confidential board meetings with Rajaratnam. At least twice, Gupta used a McKinsey phone to call Rajaratnam and retained other perks — an office, assistant, and $6 million retirement salary that year — as a senior partner emeritus. After the scandal McKinsey instituted new policies and procedures to discourage future indiscretions from consultants, including investigating other partners' ties to Gupta. The Gupta family (no relation to Rajat Gupta) had strategically placed corrupted individuals in various South African government, utilities and infrastructure sectors. It is alleged that McKinsey was complicit in this corruption by using the Guptas to obtain consulting contracts from certain state-owned enterprises, including Eskom and Transnet. Working with Trillian Capital Partners (a consultancy which was owned by a Gupta associate), they provided services to the value of R1 billion ($75 million) annually. Trillian was paid a commission for facilitating the business for McKinsey. McKinsey hired law firm Norton Rose Fulbright to carry out an internal investigation over the allegations. McKinsey's then Managing Partner, Dominic Barton issued a statement, following an internal investigation, in which the firm "admitted that it found violations of its professional standards but denied any acts of bribery, corruption, and payments to Trillian." In September 2017, the Democratic Alliance, South Africa's main opposition political party, laid charges (Case Number: CAS 1156/9/2017) of fraud, racketeering and collusion against McKinsey in terms of Section 21 of the Prevention and Combatting of Corrupt Activities Act (Act 12 of 2004). The party alleged that McKinsey ignored red flags from senior South African staff members that deals between Trillian, Eskom and other Gupta-linked companies were not above board. The party said that McKinsey seems to have ignored these warnings as the profits were far too lucrative for McKinsey to pass up. Corruption Watch, a South African non-governmental organisation, also filed a complaint about the controversial contract to the US Department of Justice, alleging that there was a criminal conspiracy between McKinsey, Trillian and Eskom in contravention of US and South African law. It was revealed in January 2018 that criminal complaints were filed against McKinsey & Company by the South African Companies and Intellectual Property Commission. South African prosecutors confirmed that they would enforce the seizing of assets from McKinsey. South Africa's National Prosecuting Authority concluded in early 2018 that the payments to McKinsey and its local business partner, Trillian, were illegal, involving crimes such as fraud, theft, corruption and money laundering. McKinsey had subsequently been in discussion with Eskom and the National Prosecuting Authority's Asset Forfeiture Unit to agree on a transparent, legally appropriate process for returning the R1-billion (US$74m) it had been paid - it was confirmed on 6 July 2018 that this had been concluded. Eskom confirmed it received R99.5 million in interest from McKinsey on July 23, 2018. The interest payment covers the two years since McKinsey was paid almost R1-billion in 2016. The repayment of the near R1-billion illegal fee was not universally well received by South Africans. McKinsey continued to receive negative coverage in South Africa's business press with Sikonathi Mantshantsha, deputy editor of South Africa's Financial Mail magazine writing in an open letter to Mckinsey that "...I find it rich — too rich, in fact — for McKinsey to lecture anyone about the truth, principles and fairness. Let me tell you that the highest standards of ethics, truth and fairness begin with never taking that which does not belong to you in the first place. The second is to not pretend you are helping a client when you clearly are not. The third point is to acknowledge, however hard that may be, when you have done all and any of the above." This was in response to an unpublished email from Mckinsey which Mantshantsha described as making the "baseless and arrogant claim about there being no evidence presented to support the accusations of unethical conduct — possibly also thieving and corruption — that has financially crippled not only SA's electricity provider Eskom, but also the rail and pipeline firm Transnet. And possibly others." Mantshantsha went on to say "as is now common cause, McKinsey has readily admitted that there is no legal basis on which to hold on to the funds." Information relating to allegedly corrupt practices by McKinsey at Transnet in 2011 and 2012 came to light in late July 2018. The weekly Mail & Guardian newspaper reported that a "...new forensic treasury report shows how controversial former Transnet and Eskom chief financial officer Anoj Singh enjoyed overseas trips at the expense of international consulting firm McKinsey, which scored multi-billion rand contracts at the state owned entities." The "...report reiterates treasury's recommendations that Singh's conduct with regards to McKinsey should be referred to the elite crime-fighting unit, the Hawks, for investigations under the Prevention and Combating of Corrupt Activities Act (Precca). Under Precca, Singh would be investigated for allegations of corruption as the overseas trips alone constitute a form of gratification, which is illegal." The Sunday City Press reported that the forensic report in turn reported that "multinational advisory firm McKinsey paid for Singh to go on lavish international trips to Dubai, Russia, Germany and the UK, after which their contract with Transnet was massively extended.". Mckinsey issued a statement that the allegations were incorrect. Mckinsey stated that "based on an extensive review encompassing interviews, email records and expense documents, our understanding is that McKinsey did not pay for Mr. Singh's airfare and hotel lodgings in connection with the CFO Forum and the meetings that took place around the CFO Forum in London and elsewhere in 2012 and 2013." In early August 2018 McKinsey admitted to helping Transnet Group Chief Executive Siyabonga Gama prepare a part of his thesis to obtain an MBA degree from TRIUM, a collaborative MBA programme jointly run by the NYU Stern School of Business, the London School of Economics and Political Science and HEC School of Management. Several researchers at McKinsey's Johannesburg office were assigned to help outline and prepare Gama's submission to a joint thesis to which he had to contribute at least two chapters. Despite multiple earlier denials that any corrupt activities had been discovered, a McKinsey's spokesperson said "... we believe this matter passed the threshold of reasonable suspicion that an offence may have occurred under South African law. As such, we reported it last year to relevant authorities under Section 34(1) of Precca.". The TRIUM Global EMBA official twitter account was reported to have tweeted that "We have been made aware of recent allegations about academic integrity involving a TRIUM alumnus. TRIUM and its three Alliance Schools ... take academic integrity issues very seriously." As of May 2018, the restructuring practice of McKinsey is being sued by a competitor claiming the company knowingly mislead courts in order to land clients. The company indeed disclose an average of only five potential conflicts per case, whereas other professional-services firms divulged, on average, 171 connections. In most cases it disclosed no conflicts at all. Reports presented in the Trinidad and Tobago Parliament indicated McKinsey provided consulting recommendations to the amount of 66 million dollars in total. The Petrotrin Refinery is set to close on November 30th 2018. (Reference: TT Parliament Hansard). Marginal abatement cost curves attempt to compare the financial costs of different options for reducing pollution in a region and are used in emissions trading, policy discussions and incentive programs. McKinsey & Company released its first marginal abatement cost (MAC) curve for greenhouse gas emissions in February 2007, which was updated to version two in January 2009. McKinsey & Company's MAC curve has become the most widely used and is the basis for McKinsey's consulting on climate change and sustainability. McKinsey's curve predicts negative cost abatement strategies, which has been controversial among economists. The International Association for Energy Economics said in The Energy Journal that McKinsey's cost-curve was popular among policymakers, because it suggests they can take "bold action towards improving energy efficiency without imposing costs on society." In a 2010 report, the Rainforest Foundation UK said McKinsey's cost curve methodology was misleading for policy decisions regarding the Reduced Emissions from Deforestation and Forest Degradation (REDD) program. The report argued that McKinsey's calculations exclude certain implementation and governance costs, which makes it favor industrial uses of forests while discouraging subsistence projects. Greenpeace said the curve has allowed Indonesia and Guyana to win financial incentives from the United Nations by creating inflated estimates of current deforestation so they could demonstrate reductions in comparison. McKinsey said they had made it clear in the cost-curve publications that cost curves do not translate "mechanically" into policy implications and that policymakers should consider "many other factors" before introducing new laws. McKinsey is said to have played a significant role in the 2008 financial crisis by promoting the securitization of mortgage assets and encouraged the banks to fund their balance sheets with debt, driving up risk, which 'poisoned the global financial system and precipitated the 2008 credit meltdown'. Furthermore, McKinsey advised Allstate Insurance to purposefully give low offers to claimants. The Huffington Post revealed that the strategy was to make claims "so expensive and so time-consuming that lawyers would start refusing to help clients." Next to this, 2016 McKinsey partner Navdeep Arora was convicted for illegally depleting State Farm of over $500,000 over a period of 8 years, in collaboration with a State Farm employee. ^ Some sources say he was hired in 1930, instead of 1929. ^ Some sources say he was hired in 1932, while others say that they first met in 1932, but he was not hired until 1933. ^ a b c "McKinsey & Company". FT. Retrieved February 27, 2018. ^ "Best companies to work for-Vault.com". Vault. Retrieved 27 January 2019. ^ "The Top 50 Consulting Firms In 2018 By Revenue, Prestige, Growth & Employee Satisfaction". www.consulting.com. Retrieved 27 January 2019. ^ Walter Kiechel (December 30, 2013). Lords of Strategy: The Secret Intellectual History of the New Corporate World. Harvard Business Press. p. 55. ISBN 978-1-4221-5731-2. ^ David Snider; Chris Howard (February 16, 2010). Money Makers: Inside the New World of Finance and Business. Palgrave Macmillan. p. 152. ISBN 978-0-230-61401-7. ^ a b c d e f g h i j k l m n o p q r s t Larry Greiner; Thomas Olson (June 25, 2004). Contemporary consultant casebook: educating today's consultants. Thomson/South-Western. ISBN 978-0-324-29019-6. Retrieved December 16, 2012. ^ a b c d e Elizabeth Haas Edersheim (13 December 2010). McKinsey's Marvin Bower: Vision, Leadership, and the Creation of Management Consulting. John Wiley & Sons. ISBN 978-1-118-04014-0. Retrieved 16 December 2012. ^ a b c Charles-Edouard Bouée (January 2, 2014). Light Footprint Management: Leadership in Times of Change. A&C Black. p. 10. ISBN 978-1-4729-0385-3. ^ a b John Cunningham Wood; Michael C. Wood (2002). F. W. Taylor: Critical Evaluations in Business and Management. Taylor & Francis. p. 282. ISBN 978-0-415-27666-5. ^ Consulting Magazine. Kennedy Information. 2004. ^ a b c Anthony J. Mayo; Nitin Nohria; Laura G. Singleton (January 1, 2007). Paths to Power: How Insiders and Outsiders Shaped American Business Leadership. Harvard Business Press. p. 133. ISBN 978-1-4221-0198-8. Retrieved December 16, 2012. ^ a b c d e f g Bhide, Amar (March 1996). "Building the Professional Firm: McKinsey & Co.: 1939-1968". Retrieved April 10, 2012. ^ Anthony J. Mayo; Nitin Nohria; Laura G. Singleton (2006). Paths to Power: How Insiders and Outsiders Shaped American Business Leadership. Harvard Business Press. p. 134. ISBN 978-1-4221-0198-8. ^ a b c d e Barry Curnow; Jonathan Reuvid (December 3, 2005). International Guide to Management Consultancy: Evolution Practice and Structure. Kogan Page Publishers. p. 25. ISBN 978-0-7494-4699-4. Retrieved December 16, 2012. ^ a b c d Bartlett, Christopher (January 4, 2000). "McKinsey & Company: Managing Knowledge and Learning". Harvard Business School. Retrieved August 19, 2013. ^ a b c d Christopher D. McKenna (June 19, 2006). The World's Newest Profession: Management Consulting in the Twentieth Century. Cambridge University Press. pp. 48–. ISBN 978-0-521-81039-5. Retrieved December 16, 2012. ^ a b c d e f g h i j k l m n o p q r s t u McDonald, Duff (September 10, 2013). The Firm: The Story of McKinsey and its Secret Influence on American Business. Simon & Schuster. ISBN 1439190976. ^ a b c d e f Vault Employer Profile: McKinsey & Company. Vault. 2004. Retrieved July 8, 2012. ^ "Table: McKinsey Over the Years". BusinessWeek. July 7, 2002. Retrieved December 16, 2012. ^ a b c d e f g h i j k Huey, John (November 1, 1993). "How McKinsey Does It". Fortune. Retrieved May 20, 2012. ^ a b Byrne, John (September 19, 1993). "The McKinsey Mystique". BusinessWeek. Retrieved May 24, 2012. ^ a b c Caulkin, Dimon (June 29, 1997). "Management: The Firm that means McJobs for the Boys". The Observer. Business Page. p. Page 6. ^ Sreenivasan, Sreenath (April 22, 1994). "How did McKinsey's Rajat Gupta become the first India-born CEO of a $1.3 billion US transnational?". BusinessToday. Retrieved May 20, 2012. ^ a b c d e f Byrne, John (July 8, 2002). "Inside McKinsey". BusinessWeek. Retrieved August 19, 2013. ^ Leonhardt, David (October 22, 1999). "Big Consultants Woo Employees by Offering a Piece of the Action". The New York Times. p. 1. ^ Thurm, Scott (February 23, 2009). "McKinsey Partners Pick Barton to Lead Firm". Wall Street Journal. Retrieved May 24, 2012. ^ a b c d e f g WetFeet (2009). Mckinsey and Company. WETFEET, INC. ISBN 978-1-58207-872-4. ^ a b Stern, Stefan (February 23, 2009). "McKinsey turns to its Asia chief Barton for top job". Financial Times. ^ "McKinsey names Kevin Sneader new global managing partner". ^ a b Empson, Laura (January 18, 2007). Managing the Modern Law Firm : New Challenges, New Perspectives: New Challenges, New Perspectives. OUP Oxford. p. 30. ISBN 978-0-19-929674-3. ^ Charles D. Ellis (January 25, 2013). What It Takes: Seven Secrets of Success from the World's Greatest Professional Firms. John Wiley & Sons. p. 116. ISBN 978-1-118-56049-5. ^ a b Glater, Jonathan D. (March 7, 2003). "British Manager Is Chosen To Lead Consulting Firm". The New York Times. p. 2. ^ a b c d e f g Rasiel, Ethan (1999). The McKinsey Way. McGraw-Hill. ISBN 0-07-053448-9. ^ Yeming Gong (July 1, 2013). Global Operations Strategy: Fundamentals and Practice. Springer Science & Business Media. p. 278. ISBN 978-3-642-36708-3. ^ a b c d e Caulkin, Dimon (June 29, 1997). "Management: The Firm that means McJobs for the Boys". The Observer. pp. Business Page, 6. ^ a b c d e f g h i O'Shea, James; Charles Madigan (1997). Dangerous Company. Random House. ISBN 0-8129-2634-X. ^ a b c Doward, Jamie (March 23, 2002). "The firm that built the house of Enron". Retrieved September 10, 2013. ^ a b c d e f Milbank, Dana (October 12, 1993). "Critics Have Advice for McKinsey". The Globe and Mail. Toronto. ^ a b c d Birchall, Martin (June 8, 2006). "Consultancy pioneer is still setting the pace". The Times. p. 7. It was also the first firm to hire MBA graduates from the top business schools to staff its projects, rather than relying on older industry personnel. ^ a b c Laville, Sandra; Nils Pratley (June 14, 2005). "Brothers who sit at Blair's right hand". The Guardian. ^ Rodenhauser, Tom (August 26, 2013). "The McKinsey Mystique". BusinessWeek. Retrieved June 20, 2014. ^ a b c d e O'Shea, James; Charles Madigan (September 7, 1997). "The Firm's Grip". The Sunday Times. ^ Eder, Steve (October 19, 2009). "McKinsey shocked by insider-trading allegations". Reuters. Retrieved December 2, 2013. ^ a b c Kim, James (May 19, 1993). "McKinsey: CEO factory. Money". USA Today. pp. 1B. ^ Rasial, Ethan; Paul Friga (2002). The McKinsey Mind. McGraw-Hill. ISBN 0-07-137429-9. ^ Jones, Del (January 1, 2008). "Some firms' fertile soil grows crop of future CEOs". USA Today. ^ "The firm that hijacked the NHS: MoS investigation reveals extraordinary extent of international management consultant's role in Lansley's health reforms". Daily Mail. February 12, 2012. Retrieved November 9, 2014. ^ Thomas J. Schaeper; Kathleen Schaeper (2004). Rhodes Scholars, Oxford, and the Creation of an American Elite. Berghahn Books. pp. 299–. ISBN 978-1-57181-683-2. ^ "The World of Business: The Kids in the Conference Room". The New Yorker. Retrieved July 18, 2013. ^ Kiechel, Walter (24 March 2011). "The Tempting of Rajat Gupta". Harvard Business Review Blog Network. Retrieved 2 September 2011. ^ a b c d e John Micklethwait; Adrian Wooldridge (1997). The Witch Doctors: What the Management Gurus are Saying, why it Matters and how to Make Sense of it. Mandarin. ISBN 978-0-7493-2670-8. ^ Antonio Nieto-Rodriguez (May 1, 2012). The Focused Organization: Less Is More in Portfolio Management and Project Delivery. Gower Publishing, Ltd. p. 55. ISBN 978-1-4094-2566-3. Retrieved December 16, 2012. ^ a b c d Guest, David (January 1, 2001). Organizational Studies: Modes of management. Psychology Press. pp. 347–362. ISBN 978-0-415-21554-1. ^ a b McDonald, Duff (November 5, 2013). "McKinsey's Dirty War: Bogus 'War for Talent' Was Self-Serving (and Failed) Even a stacked deck couldn't produce winners". The Observer. Retrieved July 3, 2014. ^ Stephen Perkins; Raisa Arvinen-Muondo (3 January 2013). Organizational Behaviour: People, Process, Work and Human Resource Management. Kogan Page Publishers. ISBN 978-0-7494-6361-8. ^ a b c Gladwell, Malcolm (22 July 2002). "The Talent Myth. Are smart people overrated?". The New Yorker. Retrieved 2 September 2011. ^ McDonald, Buff (July 26, 2009). "The Answer Men". New York Magazine. Retrieved April 10, 2012. ^ a b Foster, Richard. "Manager's Journal: The Welch Legacy: Creative Destruction". Wall Street Journal. ^ Zook, Chris; James Allen (May 22, 2001). "Core curriculum". The Economist. Retrieved December 3, 2013. ^ Andrews, Fred (22 April 2001). "BOOK VALUE; Even the Best Boats Need Rocking". The New York Times. p. 7. ^ McGrath; Ian MacMillan (March 16, 2009). Discovery-Driven Growth: A Breakthrough Process to Reduce Risk and Seize Opportunity. Harvard Business Review Press. p. 198. ISBN 978-1-4221-2949-4. ^ a b Shubharn Singhal; Jeris Stueland; Drew Ungerman (June 2011). "How US health care reform will affect employee benefits". McKinsey Quarterly. Retrieved October 1, 2012. ^ "1 in 3 Employers Will Drop Health Benefits After ObamaCare Kicks In, Survey Finds". Fox News. June 7, 2011. Retrieved October 24, 2012. ^ "Many US Employers to Drop Health Benefits: McKinsey". Reuters. June 7, 2011. Retrieved October 1, 2012. ^ Farnham, Alan (June 9, 2011). "Health Care Survey: Employers May Cut Plans After 2014". ABC News. Retrieved October 24, 2012. ^ a b Pickert, Kate (June 20, 2011). "McKinsey Comes Clean About Its Controversial Insurance Study". TIME Magazine. Retrieved October 1, 2012. ^ Freudenheim, Milt (June 20, 2011). "Health Law in a Swirl of Forecasts". The New York Times. Retrieved October 24, 2012. ^ Pecquet, Julian (May 16, 2011). "Baucus demands methodology behind healthcare reform study". The Hill. Retrieved October 1, 2012. ^ Rovner, Julie (June 17, 2011). "McKinsey Health Insurance Survey Raises Ruckus, Questions". NPR. Retrieved October 1, 2012. ^ Ungar, Rick (June 18, 2011). "McKinsey's Anti-Obamacare Study May Be A Lie - But It's A Lie Worth Big Bucks To McKinsey". Forbes (blog). Retrieved October 1, 2012. ^ Schwab, Dwight (July 28, 2011). "After lengthy debt-ceiling crisis, Obamacare looms". ^ "Details regarding the survey methodology". McKinsey. June 20, 2011. Retrieved October 24, 2012. ^ Baker, Sam (June 20, 2011). "McKinsey stands by healthcare survey". The Hill. ^ Cevallos, Marissa (June 20, 2011). "McKinsey Releases Insurance-Survey Data; More Controversy Ensues". Los Angeles Times. ^ "Valuation: Measuring and Managing the Value of Companies". amazon.com. Retrieved 2015-08-05. ^ "Valuation: Measuring and Managing the Value of Companies, 5th Edition Hardcover by McKinsey & Company". goodreads.com. Retrieved 2015-08-05. ^ "Valuation: Measuring and Managing the Value of Companies, 6th Edition". wiley.com. Retrieved 2015-08-05. ^ "Valuation: Measuring and Managing the Value of Companies, 6th Edition". mckinsey.com. Retrieved 2015-08-05. ^ Christopher D. McKenna (2000). The World's Newest Profession: Management Consulting in the Twentieth Century. Cambridge University Press. ISBN 978-1-139-45553-4. ^ "The McKinsey Report". January 12, 1953. Retrieved July 3, 2014. ^ IDG Enterprise (31 May 1999). Computerworld. IDG Enterprise. p. 42. ISSN 0010-4841. ^ James B. Ayers; Mary Ann Odegaard (26 November 2007). Retail Supply Chain Management. Taylor &Francis. p. 269. ISBN 978-1-4200-1375-7. ^ Donald Cooper; Pamela Schindler (February 1, 2013). Business Research Methods: 12th Edition. McGraw-Hill Higher Education. ISBN 978-0-07-777443-1. ^ Matthias Kipping; Lars Engwall (June 20, 2002). Management Consulting : Emergence and Dynamics of a Knowledge Industry: Emergence and Dynamics of a Knowledge Industry. OUP Oxford. p. 191. ISBN 978-0-19-158812-9. ^ Harm G. Schröter (December 5, 2005). Americanization of the European Economy: A compact survey of American economic influence in Europe since the 1800s. Springer. p. 110. ISBN 978-1-4020-2934-9. ^ "A scary Swiss meltdown". The Economist. July 19, 2001. Retrieved September 18, 2014. ^ Griffiths, Katherine (June 27, 2005). "The Real Power Behind No 10; McKinsey is a Highly Secretive Consultancy Firm". The Independent. ^ a b Rothfeld, Michael; Susan Pulliam (October 25, 2011). "Gupta Surrenders to FBI". The Wall Street Journal. Retrieved April 3, 2012. ^ Hwang, Suein; Rachel Emma Silverman (January 17, 2002). "McKinsey's Close Relationship With Enron Raises Question of Consultancy's Liability". The Wall Street Journal. Retrieved December 2, 2013. ^ Dietz, David; Darrell Preston (August 3, 2007). "Home Insurers' Secret Tactics Cheat Fire Victims, Hike Profits". Bloomberg L.P. Retrieved September 2, 2011. ^ Griffin, Drew; Kathleen Johnston (February 9, 2007). "Auto insurers play hardball in minor-crash claims". CNN. Retrieved September 2, 2011. ^ a b c "McKinsey: How does it always get away with it?". 7 February 2014. ^ Greene, Kerima (13 September 2013). "Want to be a CEO? Work here". ^ "McKinsey's corrupted culture". Reuters. ^ a b c "The firm that built the house of Enron". the Guardian. 24 March 2002. ^ "What Caused Valeant's Epic 90% Plunge". ^ a b Gapper, John (23 March 2016). "McKinsey's fingerprints are all over Valeant". Financial Times. Retrieved 27 May 2018. ^ Forsythe, Michael; Bogdanich, Walt (July 9, 2018). "McKinsey Ends Work With ICE Amid Furor Over Immigration Policy". New York Times. Retrieved 17 December 2018. ^ "Saudis' Image Makers: A Troll Army and a Twitter Insider". Retrieved 2018-10-24. ^ "How McKinsey Has Helped Raise the Stature of Authoritarian Governments". Retrieved 2018-12-16. ^ "Motion for a resolution on the situation on women's rights defenders in Saudi Arabia (2019/2564(RSP)) Point 18". European Parliament. Retrieved 11 April 2019. ^ Premack, Rachel (December 15, 2018). "McKinsey held a lavish corporate retreat in Kashgar miles from where the Chinese government is imprisoning thousands of ethnic Uighurs". Business Insider. Retrieved 17 December 2018. ^ a b Bogdanich, Walt; Forsythe, Michael (15 December 2018). "How McKinsey Has Helped Raise the Stature of Authoritarian Governments" – via NYTimes.com. ^ Holman, Jordyn (October 23, 2018). "Elizabeth Warren Asks McKinsey to Provide Information on Work for Saudis". Bloomberg. Retrieved 17 December 2018. ^ Benner, Katie; Mazzetti, Mark; Hubbard, Ben; Isaac, Mike I (October 20, 2018). "Saudis' Image Makers: A Troll Army and a Twitter Insider". New York Times. Retrieved 17 December 2018. ^ Kolhatkar, Sheelah (November 1, 2018). "McKinsey's Work for Saudi Arabia Highlights its History of Unsavory Entanglements". The New Yorker. Retrieved 17 December 2018. ^ Bogdanich, Walt; Forsythe, Michael (19 February 2019). "How We've Reported on the Secrets and Power of McKinsey & Company". Retrieved 20 February 2019. ^ a b Forsythe, Michael; Bogdanich, Walt; Hickey, Bridget (19 February 2019). "As McKinsey Sells Advice, Its Hedge Fund May Have a Stake in the Outcome". Retrieved 20 February 2019. ^ Lattman, Peter (March 1, 2011). "Ex-Goldman Director Accused of Passing Illegal Tips". The New York Times. ^ McDonald, Duff (October 23, 2009). "Galleon scandal's executive conundrum". CNN. ^ "Rajat Gupta sues US regulator over Galleon case". IBN Live. March 19, 2011. Retrieved April 3, 2012. ^ McCool, Grant (March 14, 2011). "Money for inside information ended up in Bermuda, says Kumar". The Royal Gazette. Retrieved April 3, 2012. ^ McDonald, Duff (October 23, 2009). "Galleon scandal's executive conundrum". CNN Money. Retrieved April 3, 2012. ^ Rushe, Dominic (December 6, 2009). "McKinsey Jettisons Troubled Star Kumar". The Sunday Times. ^ "McKinsey in uncomfortable Rajaratnam trial glare". Reuters. March 30, 2011. ^ "Did McKinsey & Co throw Rajat Gupta under the bus?". NDTV.com. May 24, 2012. Retrieved July 18, 2013. ^ McCool, Grant (June 1, 2012). "Protege testifies against McKinsey mentor Gupta". Reuters. ^ Kouwe, Zachery (January 7, 2010). "Guilty Plea in Galleon Insider Trading Case". The New York Times. Retrieved April 3, 2012. ^ Savvas, Antony (July 12, 2011). "McKinsey: Galleon tech insider trading is 'embarrassing' to our reputation". Computerworld UK. Retrieved April 3, 2012. ^ Packer, George (June 27, 2011). "A Dirty Business". The New Yorker. Retrieved April 3, 2012. ^ Lattman, Peter; Ahmed, Azam (June 15, 2012). "Rajat Gupta Convicted of Insider Trading". The New York Times. ^ Hill, Andrew (November 25, 2011). "Inside McKinsey". Financial Times. Retrieved April 3, 2012. ^ Bray, Chad; Albergotti, Reed (June 1, 2012). "Charged Questions Barred". The Wall Street Journal. ^ McCool, Grant; Dena Aubin (March 30, 2011). "McKinsey in uncomfortable Rajaratnam trial glare". Reuters. Retrieved May 2, 2012. ^ Raghavanjan, Anita (January 11, 2014). "In Scandal's Wake, McKinsey Seeks Culture Shift". The New York Times. Retrieved November 21, 2014. ^ "McKinsey & Company scans Rajat Gupta's staff links". The Times Of India. May 3, 2011. ^ Edgecliff-Johnson, Andrew (July 10, 2011). "McKinsey concedes Galleon case 'embarrassing'". Financial Times. Retrieved April 3, 2012. ^ "How McKinsey Lost Its Way in South Africa". Retrieved 2018-06-27. ^ "Why McKinsey is under attack in South Africa". The Economist. 12 October 2017. ^ "South Africans urge US law-enforcers to bring Gupta and friends down with McKinsey - BizNews.com". BizNews.com. 2017-07-11. Retrieved 2017-07-12. ^ "Corruption Watch hits out at McKinsey". Independent Online. ^ "Mckinsey repayment does not let them off the hook". Democratic Alliance. ^ "McKinsey & Company not off the hook". ^ "Pityana commends McKinsey for "paying back the money" - BUSA". ^ "McKinsey pays back interest arising from Eskom contract". ^ "An open letter to McKinsey: I find it rich — too rich, in fact — for McKinsey to lecture anyone about the truth, principles and fairness". ^ "From Dubai to Russia ― how former Eskom and Transnet CFO Anoj Singh was bought". ^ "Treasury drops looting bomb". ^ "Right of Reply: McKinsey denies it paid for Anoj Singh's lavish London junket". ^ "McKinsey admits helping Transnet CEO with MBA, but Gama says only aid was editing". ^ "MBA program investigating Transnet CEO's qualification". ^ "McKinsey manages to get itself sued for racketeering". economist.com. ^ Morgenson, Gretchen; Corrigan, Tom (27 April 2018). "McKinsey Is Big in Bankruptcy—and Highly Secretive" – via www.wsj.com. ^ "Green redemption". The Economist. November 24, 2009. Retrieved December 10, 2012. McKinsey has become known as a climate-change consultant, thanks to its greenhouse gas "cost abatement curve". This clever little chart shows the relative opportunity costs of different abatement activities. McKinsey's curve and expertise on climate change have opened the doors and pockets of ministries and industries around the globe. ^ Huntington, Hillard (2011). "The Policy Implications of Energy-Efficiency Cost Curves". The Energy Journal. 32 (01). doi:10.5547/ISSN0195-6574-EJ-Vol32-SI1. ISSN 0195-6574. ^ a b Morales, Alex (April 7, 2011). "McKinsey Work Lets Congo, Guyana Get Aid, Cut Trees, Greenpeace Says". Bloomberg L.P. Retrieved December 10, 2012. ^ a b Wynn, Gerard (April 7, 2011). "McKinsey defends its climate costs slide rule". Reuters. Retrieved December 10, 2012. ^ Hari, Johann (July 7, 2011). "Reducing Emissions from Deforestation and Forest Degradation program (REDD)". The Huffington Post. ^ "Insurance Industry Reaps Massive Profits From Delay". 13 December 2011. ^ Janssen, Kim. "McKinsey and State Farm consultants bilked $900,000, feds say". Wikimedia Commons has media related to McKinsey & Co..